Dove Court is a beautiful, genteel care home set high up on the hillside with stunning views looking over the Axe Valley and Lyme Bay. It has received a Top Twenty Award for the last 4 years from carehome.co.uk for being consistently rated by reviews as one of the top twenty care homes in the South West of England. 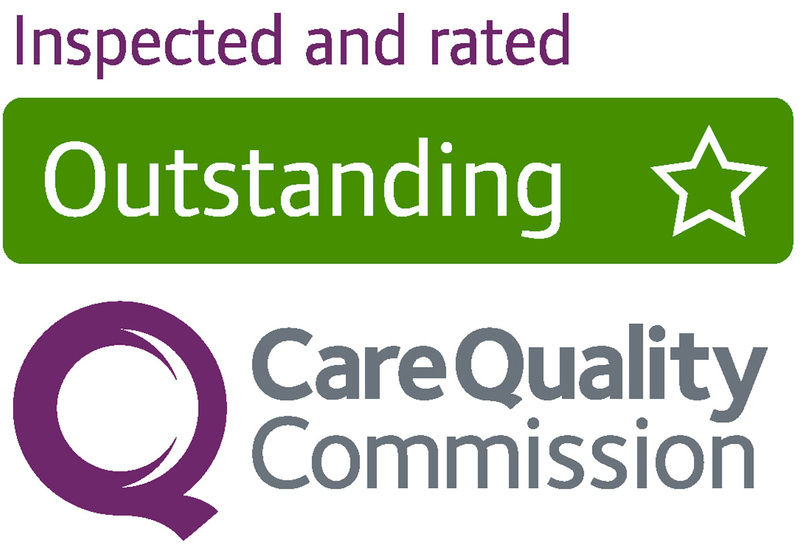 The home was also rated “Outstanding” at it’s last inspection by our regulators, the Care Quality Commission. The home is set out over 3 floors. On the first floor there are 10 bedrooms, of which 6 are en-suite. There is also a separate assisted bathroom and toilet. On the ground floor there are 12 bedrooms, 10 of which are en-suite. Two of the rooms are large enough to be double occupancy. There are also two further toilets and a bathroom. There is a lovely dining room that leads out onto the large, sunny conservatory, two further cosy lounge areas and the kitchen and utility area. On the lower ground floor there are 8 large, en-suite bedrooms all with their own private patios, a large assisted bathroom, a separate lounge area and laundry. All floors are inter connected by staircases and lifts. Dove Court Care Home provides 24 hour care for their ladies and gentlemen. The care plans are made in full consideration of each individuals desires and needs by working in partnership with those individuals to as greater a degree as is possible. The aim of the care is to safeguard each persons health and well-being and to support each individual to live as full and happy life. The social side of life is seen as just as important as the care side and for that visits by friends, family and loved ones are encouraged. Time spent with your nearest and dearest can be a wonderful tonic for us all. Dove Court has its own activities organiser who is always open to further suggestions. Activities can be for individuals or for groups and involvement in activities is always the choice of the individual. Our residents’ individual wishes and desires are always of the utmost importance.